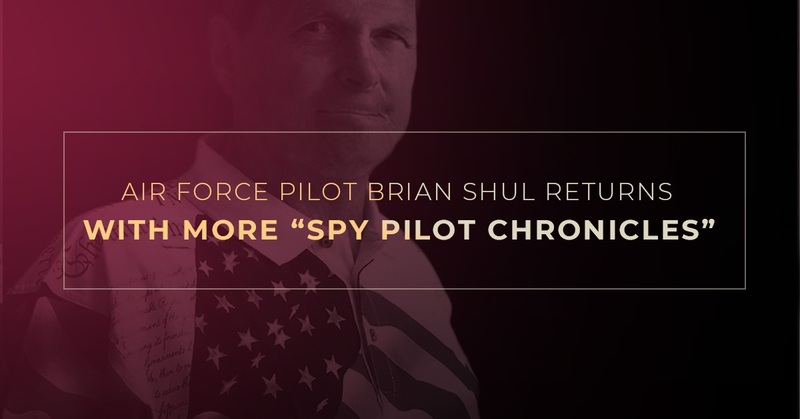 One of the elite few ever to fly the legendary SR-71 Blackbird spy plane, Air Force pilot Brian Shul, joined by navigator Walt Watson, will share the experience of flying the world’s fastest aircraft. Shul, a dynamic and engaging storyteller, returns to the Bankhead Theater on April 10 following his sold-out presentation two years ago. Shul was shot down as an Air Force fighter pilot in the Vietnam War and suffered serious burns in the ensuing crash. Though he expected to die soon after the crash, Shul was finally rescued and spent a year in hospitals, endured 15 surgeries, and was told his flying days were over. After three arduous months of physical therapy, Shul made a miraculous return to active duty flying and later served as a flight instructor. Shul became one of only 93 men in history to fly the top-secret SR-71 and was the only Blackbird pilot to fly three missions on three consecutive days. Shul is a Spirit of Freedom Award winner and a recipient of the prestigious Crystal Eagle Award. Today, Shul combines aviation slides and stories to deliver an inspiring message of hope, overcoming obstacles, and daring to dream. He has published five books, including “Sled Driver,” a personal account of flying the SR-71, as well as “The Untouchables,” an account co-authored by Watson with whom Shul flew spy missions for four years. As incredible as their flight careers were, the two are excelled only by their own unique personal stories of perseverance and achievement. This is a rare opportunity to meet the pilot of “LA Speed Story” fame and the navigator who made the infamous radio call. A book signing will follow the presentation. We want to also take the time to thank Linda Tinney, whose generous gift helped the Livermore Valley Performing Arts Center staff put this event together. As aforementioned, this will be Shul’s second appearance at the Bankhead Theater. Tickets for the event start at just $20 but are going fast, so be sure to get yours as soon as possible. Please note that LVAC offers student and military tickets to nearly every performance. Should you need student, military, or ADA tickets, contact the box office. Here at the Livermore Valley Performing Arts Center, we are proud to be the heart of a vibrant cultural arts community. It all starts with the 507-seat Bankhead Theater, where we have brought diverse artists and audiences together for more than a decade. Exposure to the arts, especially in a venue such as the Bankhead, has the potential to transform lives. The Livermore Valley Performing Arts Center is an independent 501(c)3 non-profit offering various programs that provide access to the arts for the Tri-Valley community and beyond. Together with the Bothwell Arts Center, the Bankhead is home to eight resident performing arts companies and over 40 studio artists and cultural arts instructors. We look forward to seeing you for the return of Brian Shul! Get your tickets today.